“All this bike riding was thirsty work. And if a million suburban mothers couldn’t keep their kids from nearly killing themselves on a daily basis, they could at least keep them hydrated. We never seemed to drink water as such; it was always heavily flavoured with cordial. Also, ultra-cheap ‘fizzy’ drinks of many colours came around to Howard Place on a truck. These were consumed through transparent, squiggly drinking tubes called ‘Crazy Straws’. And there was ‘Tang’! It seemed every household in Australia bought a jar. 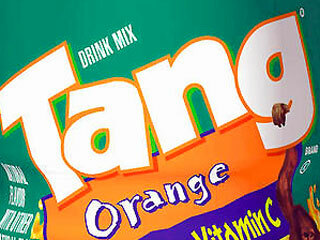 Fifteen years later, at the back of every household pantry in Australia, was a single unfinished jar of Tang. Similarly, creaming soda sounded nice but yuck, you want this? Sarsaparilla was equally awful, unless you were partial to gulping cough medicine. Just as we never drank straight water, we also never drank straight milk. That would have been unthinkable. It was flavoured with chocolate Milo, best not mixed in too thoroughly, rather, left all undissolved and crunchy on the top. Better still, sometimes I dispensed with the milk entirely and just gobbled spoonfuls of the stuff from the tin. I’m not sure what ‘Spactavite’ was. It tasted like thinly sugared dirt. Sarah White from next door swore by it, but then again, Sarah was the only kid I ever knew who could put chokoes into her mouth without being held at gunpoint. Chokoes, a favoured vegetable of grandmothers in the 1970s, are now extinct from the Australian diet. And happily so as they tasted like what farts would taste like if you could eat farts. Moove flavoured milk was very big at the time and marketed to a hip youth market. I felt ‘groovy’ just by drinking it. Along with every kid in the playground, I eagerly anticipated the arrival of a new flavour, ‘peach’ Moove, as heralded by a major advertising campaign at the time. 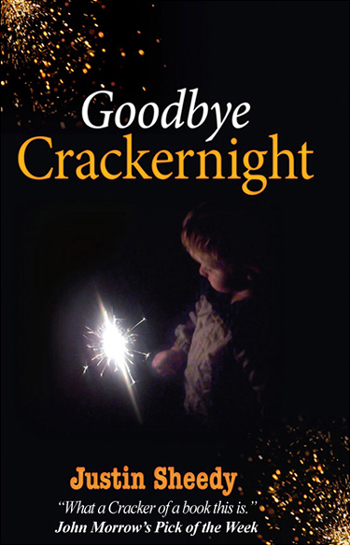 We counted down the weeks, the days, the hours, until the morning it was finally available at the school tuckshop. I spat out my first and last mouthful. It was completely disgusting, resembling no known fruit, let alone peaches, and was never seen or heard of again.